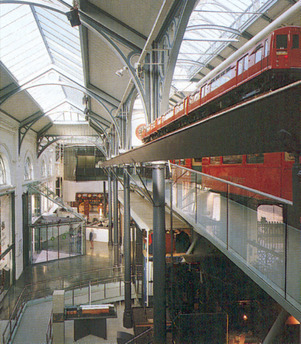 The London Transport Museum underwent a major refurbishment including the displays between 1993-1994. 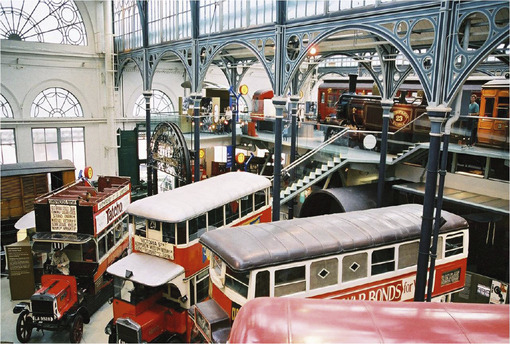 Located in the old Victorian flower market of Covent Garden, poor environmental conditions had resulted in the degradation of the exhibits. The refit also presented an opportunity to introduce new interactive exhibits and information systems to increase the overall appeal of the museum. 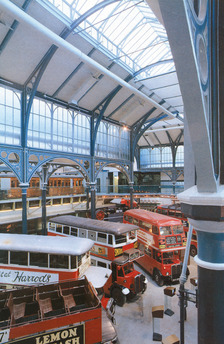 Our work included the introduction of UV screening and glare reduction using glass coating and mechanical blinds. We also introduced a HEPA-filtered air supply and heating system to pressurise the space and reduce the ingress of particulates. Moreover the radiant heating system which had damaged the tops of display buses was replaced with a less aggressive displacement air heating system. 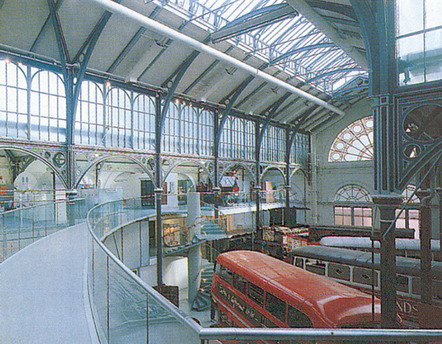 To support the new display formats, the building was wired with a distributed-hub, high-bandwidth network to connect all interactive systems and displays back to a single control centre for ease of use and efficient management.